Shahid Kapoor turns 34 on Wednesday. Born to actor-filmmaker Pankaj Kapur and Neelima Azim, Shahid, who is said to have dated Kareena Kapoor, Vidya Balan and Priyanka Chopra, is now a single man. It’s a special day for Bollywood’s chocolate boy Shahid Kapoor as the actor is celebrating his Birthday today. The actor turns 33 and gave a kick-start to his Birthday last night by throwing a party at his Juhu residence in Mumbai. As the clock stroke 12, the party began for the actor. 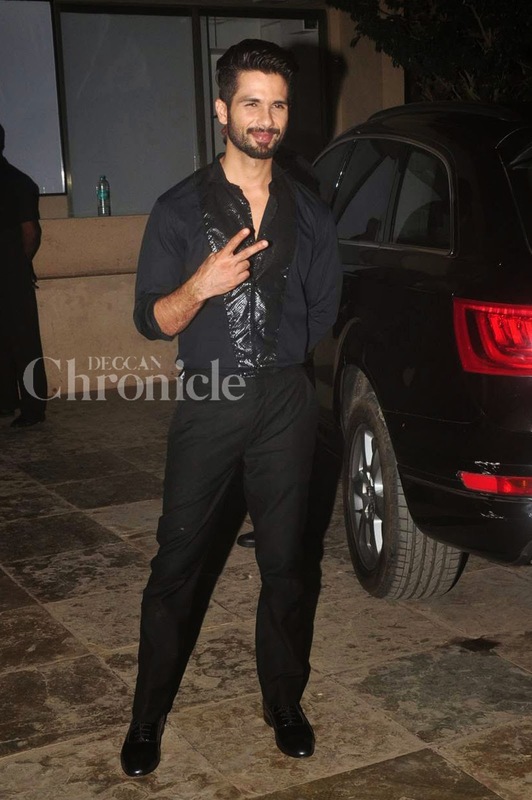 Shahid started his birthday bash with his close friends from the Bollywood industry as well as with his sibling. Shahid Kapoor’s brother Isshan Khattar attended the birthday bash with his friend Ayesha Kapur. Ayesha Kapur is the actress known for her best performance as young Michelle McNally in Sanjay Leela Bhansali’s Black. ‘Queen‘ director Vikas Bahl was among other popular B-Town friend who attended the party. Others who attended the party were producer Madhu Matena, fashion designer Masaba Gupta and several others too. Producer Madhu Matena and Masaba Gupta attended the party together and were also seen leaving the venue together. Let’s not take the limelight off from the charming Birthday boy Shahid Kapoor. He was dressed in black with a huge smile while posing for the shutterbugs. 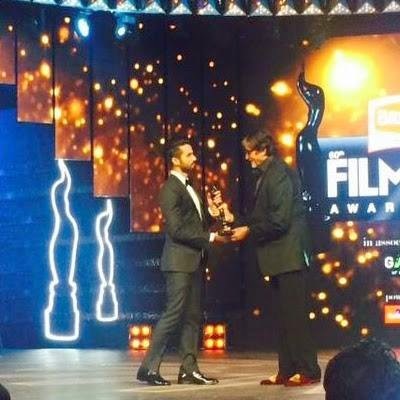 Shahid Kapoor already had a great start this year by winning the best actor award for his film Haider, which was super successful film of 2014. He is all set for his upcoming movie Shandaar with Alia Bhatt which is directed by Vikas Bahl. We wish Shahid Kapoor a very Happy Birthday and a wonderful year ahead.